Information and the photos immediately below were provided by Derek Harling. Steve Norcross (the "N" of NTM) was the designer and builder of the NTM. Steve mainly built DSRs, but also built cars for other classes. His cars were noted for being all fiberglass including the tub. As Steve says "I was building composite tubs long before the F1 guys". In total, Steve Norcross made seven NTMs. Steve stopped building and racing cars in 1972. An eighth car was made after Steve sold the molds and other items to someone else. This is believed to be the NTM Mk2 which Mort Tabin drove. 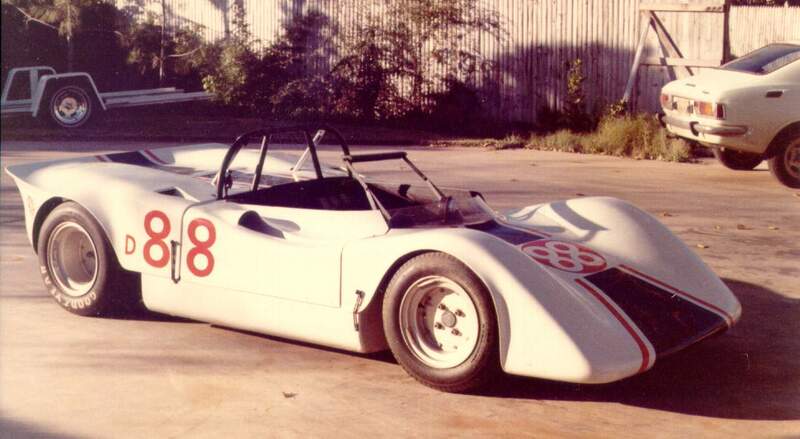 Mort held several lap records and competed at the SCCA Runoffs. Mort was also the "T" of the NTM name. 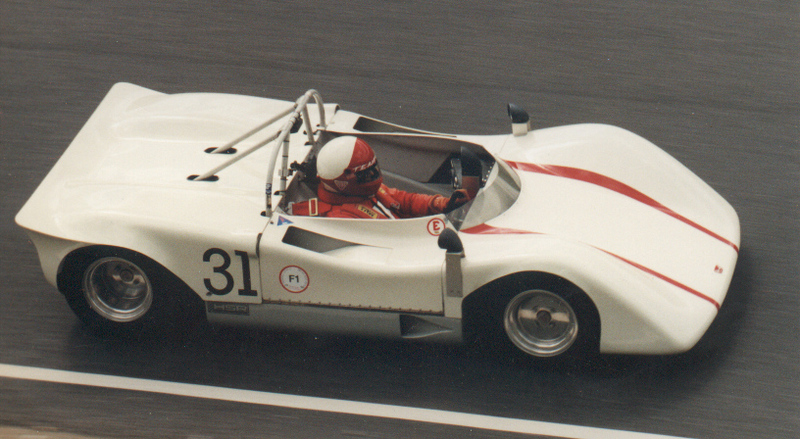 This is a recent picture of the same NTM Mk2, currently driven by Paul Meis in vintage racing. Paul is a long time Honda fan, and the NTM uses an automotive engine from the Honda S800 coupe. He took great pains to paint the car "Honda F1 White", only to find out from Steve Norcross, the original builder, that all of his cars were originally painted red! So, after a recent on track incident, Paul repainted his car bright red. This picture was taken a couple of years ago while the car was still painted white. The "F1" sticker on Paul's car has nothing to do with Formula 1. It simply denotes the Group and Class in which the car runs when competing in Brian Redman's Jefferson 500 vintage race. Doug White owns and drives an Mk3, renovated by Steve Bush in San Diego. Steve is also renovated an Mk4. Derek Harling is also renovating the only other NTM Mk4 made. 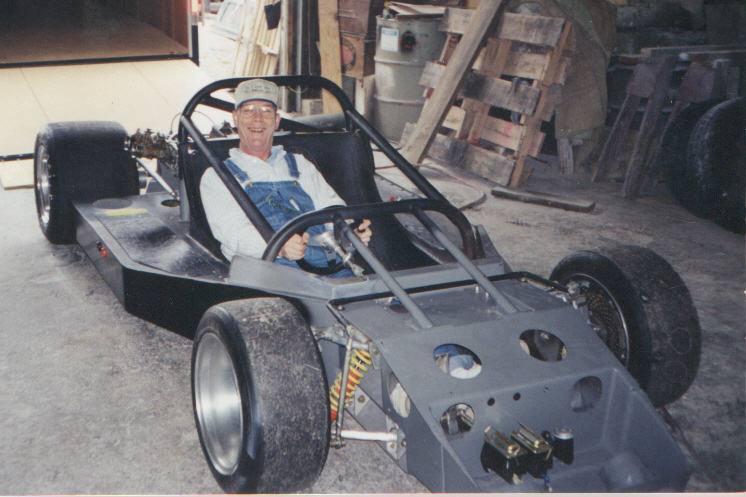 Here, Steve Norcross is pictured in Derek's Mk4 chassis, the last one Steve made. Derek stopped by to see Steve after having just picked up the car. Steve hadn't seen this particular car in over 25 years. 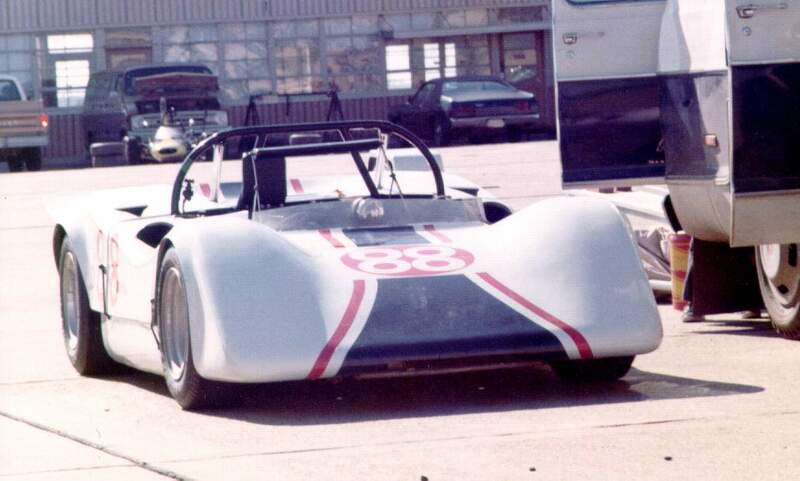 This car was originally designed for the BSR class. 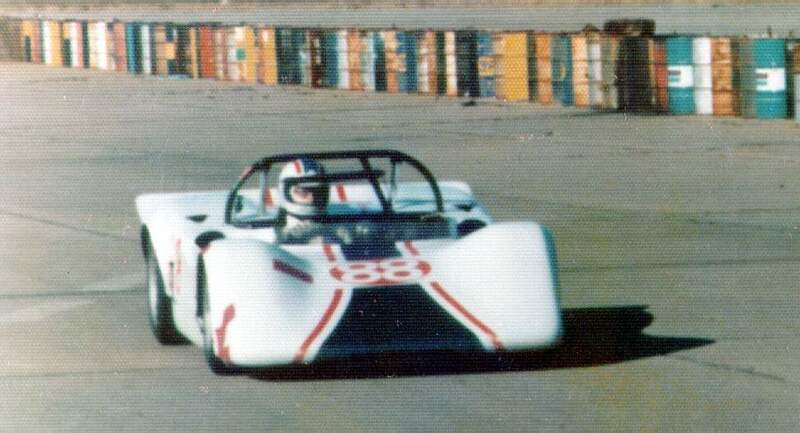 It did, however, spend much of its competitive life as a DSR, presumably with smaller tires! You can get more info on NTM by emailing Derek Harling. Craig Mendenhall's Mk2 shown below. Photos provided by Craig.